Robotics – The Next Generation of Life As technology becomes increasingly important in today's world, it is invaluable to not only learn how to use technology, but also to understand how to create it. Come....let's go into details of Robotics. Just imagine if you had to do the same work again and again, day in and day out. Will you not feel bored? Or imagine a situation where people are asked to clean the nuclear waste at a nuclear plant almost every day. Both situations pose not only boredom but also dangerous to us. This work can be done by machines known as robots. Today, most robots are used to do repetitive actions or jobs considered too dangerous for humans. They are used in factories to build things like cars, candy bars, and electronics. Some robots are even designed to explore ocean under waters and for research and exploration on other planets! Therefore, Robots are required to be flexible enough to perform many different kinds of tasks. Before we discuss the design and application of robots, let us discuss how Robots evolved in the first place. Intelligent moving machine One of the primary goals of evolutionary robotics is to develop automatic methods for creating intelligent autonomous robot controllers, and to do so in a way that does not require direct programming by humans. The idea of an intelligent machine or a moving machine was concieved many centuries ago in folklore and mythologies. Metal gaurdsmen came to life in many stories that were told to entertain people. Some scientists from ancient times created metal pegions that could talk, water clocks, kitchen appliances and musical machines. However, serious research on Humanoid Robots started only few centuries back on machines that could talk or move or do varying tasks. Leonardo Da Vinci, is noted for his work on such robots. Though we are talking about evolution of robots, it is interesting to note that the word Robot itself came in the last century only. The term Robot comes from the Czech word &apos;robota&apos; which means &apos;forced work or labor&apos;. The Humanoid Robot took further shape in the 1930&apos;s. Westinghouse made a humanoid robot known as Elektro. It was exhibited at the 1939 and 1940 World&apos;s Fairs. The first electronic autonomous robots were created by Grey Walter at Bristol University, England in 1948. Today the word "Robot" means any man&dash;made machine that can perform work or other actions normally performed by humans, They can be programmed to work either automatically or can be controlled by remote control. Humanoid Robot in 1948 Early attempts to create artificial intelligence produced information-processing machines that operated on high-level human concepts, but had difficulty relating those concepts to actions and perceptions in the external world. Robots are constructed keeping in mind the following three basic laws of robotics as framed by Issac Asimov. There has been an intense debate over the three laws in the last half century. But most scientists agree that these laws are essential for Robotics study. The evolution presents us an insight into the history of robots. However, we need to learn more about the design to understand robots further. Robot made of metal and plastic If you want the robot to be mobile, you will need some sort of rollers for the feet. The computerized parts of cameras and cell phones can be used for the brains of the robot. The Controller also known as the "brain" which is run by a computer program. Mechanical parts – motors, pistons, grippers, wheels, gears that make the robot move usually powered by air, water, or electricity. Sensors – to tell the robot about its surroundings. These parts working together control how the robot operates. Without the controller or "brain", motors, and sensors, robots would not be able to function. Robot with 6 Degrees of freedom Robot arms are described by their degrees of freedom. This number typically refers to the number of single-axis rotational joints in the arm, where a higher number indicates an increased flexibility in positioning a tool. 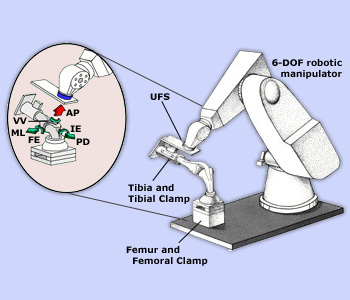 Robotic movements are defined by degrees of freedom. Robots unlike human beings don&apos;t have muscles, and thus any of their movement is to be designed with precision. For example we walk quite easily and comfortably because of the coordination between many muscles. Even to smile we take 17 muscles, and using different muscles we can smile differently each time. So just imagine, how many muscles are required to walk! In robots however, a chain of mechanical parts are used, which is also known as kinematic chain. The chain is formed of links (its bones), actuators (its muscles) and joints which can perform more than one movement. One movement of joint is known as one degree of freedom. For most robots, engineers use minimum of 6 degrees of freedom to a maximum of 20 degrees of freedom, as this is sufficient for performing basic tasks. Robots can be used intelligently in virtual reality environments. 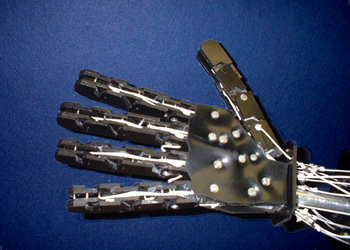 Sensors embeded in a robotic hand Engineers are up to the challenge, and over the past few years they have developed robotic hands with unprecedented dexterity, strength and sensitivity. This robot was able to move, reproduce pre&dash;recorded sounds, imitate clever conversation using the built&dash;in radio station and demonstrate movies on the built&dash;in screen. It was used in various shows. Controlling robots is not easy. The important aspects of robotic movement are Sensing (knowing the task), Planning (understanding the task) and finally Action. 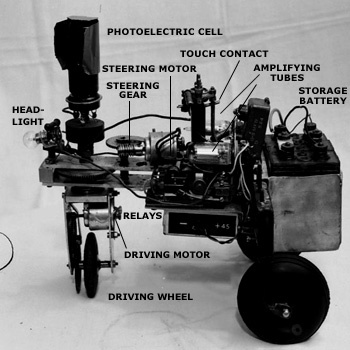 A computer controls the robot through sensors and gives it information about various aspects of the environment. 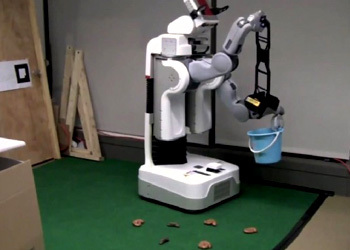 It gives the Robot the directions for movement and also feeds inputs as to the exact nature of the task. Instructions like, which part of the body is to be moved, where it needs to go, where the arm needs to be bent are all sent through signals. The controller needs to plan the path, understand the patterns, see the obstacles and move accordingly. Robots are classified into three categories. Robots that are even more advanced and can imitate human beings are still being researched and are known as either Humanoids or Androids. Humanoid robot A humanoid robot is a robot with its overall appearance based on that of the human body. 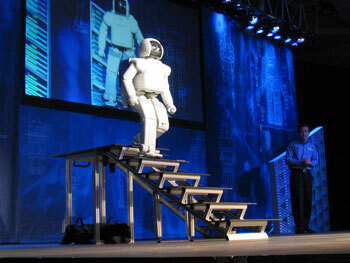 A humanoid robot is a robot with its body shape built to resemble that of the human body. 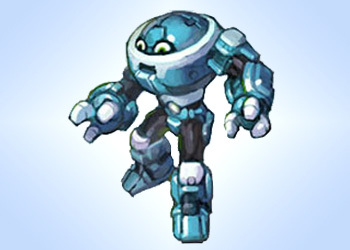 A humanoid design might be for functional purposes, such as interacting with human tools and environments, for experimental purposes, such as the study of bipedal locomotion, or for other purposes. The technology behind the movement of Humanoids is pretty complex. The engineers have to design the structure keeping behavior and navigation in mind. There is not much of a problem with wheeled robots. However, robots that imitate human like movements have been difficult to design. The study of Humanoids is also known as Biomorphic Robotics. 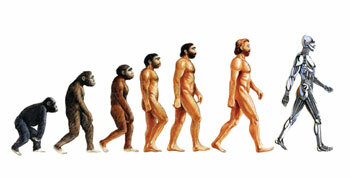 Scientists pondered over the walk of Humanoids and have used passive dynamics principles for their movement. SIGMO robots to walk The technology used to enable SIGMO to walk is being applied to advanced prosthetic devices. Some of the walking robots developed are SIGMO and QRIO which are very briefly discussed next. SIGMO stands for Synthetic, Intelligent, Mobility which effectively utilizes passive&dash;dynamics. The technology used to enable SIGMO to walk is being applied to advanced prosthetic devices. QRIO ("Quest for cuRIOsity", originally named Sony Dream Robot or SDR) is a two feet (0.6m) tall and weighing 16 pounds (7.3 kg) domestic robot for domestic help and entertainment. The difference between the humanoids and other types of robots such as industrial robots is that they are quite flexible. They can adapt to changes in environment and have inbuilt intelligence program which makes it better than other robots. Humanoids are also being developed on further lines such as the tactile sensor technology which enables them to "sense" their actions through touch and adjust their actions. This helps them perform complex tasks in a much simpler and refined manner. We have till now studied the basic design and movement of robot, let us now delve a little deeper into the applications of robots. 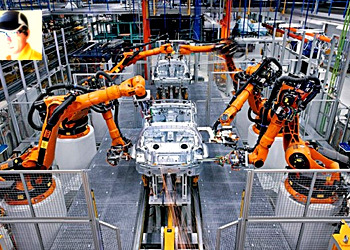 Robots used for manufacturing cars These machines are able to be programmed with the knowledge on how to assemble frames and bodies on the vehicles that are helping to produce. Robots are mostly used in industry, as the work is often routinous and linear. Car manfucaturers, for example use robots, as there are series of steps involved in assembling a car that are not only same but also require constant alertness. Human workers get bored or fatigued when doing the same job again and again. Humans may commit errors that can create faults in the car. Thus in mass production industries such as car making, large and complex robots come handy in producing products. Robots are further used in that process for the painting, welding and assembly of the cars. The tasks are same again and again and robots perform them without any error. Industrial robots come in different shapes and sizes suiting the needs of the particular industry. 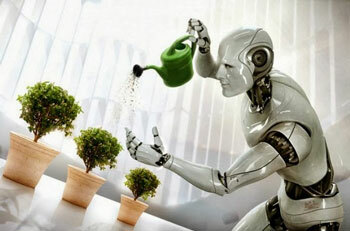 Robots used for cleaning Robots can also work in space or underwater, in mining, and for the cleaning of toxic waste. Many factories such as chemical and nuclear plants release tonnes of toxic waste. Then there are plants that produce bombs. Working in such environment is always hazardous for human lives. So whenever the work is dangerous, dull and dirty, robots can be used efficiently. Robots can also work in space or underwater, in mining, and for the cleaning of toxic waste. Robots are also used for patrolling these toxic areas, robots equipped for this job are e.g. the Robowatch OFRO, and Robowatch MOSRO. Robots are useful where objects have to be moved in large spaces such as Ports and hospitals. The robots used here are programmed or instructed to move only in some particular areas. They are used to travel around hospitals to deliver medical supplies, medication, food trays, or just about anything to nursing stations. Once it is finished it goes back to its charging station and waits for its next task. Ladies have a tough time as they have to do lot of routine and boring tasks at home. Cleaning utensils, vaccum cleaning, cutting grass etc are some of the boring tasks. Robots are now being used to perform these type of routine tasks. 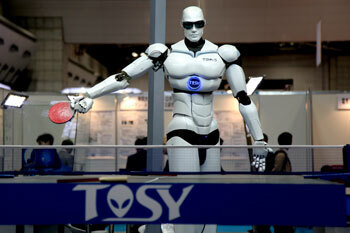 Robots are also being developed to provide entertainment at home. Robots are also being used to help physically disabled people, by performing important daily tasks for them. Robots used for medical surgery Medical robots are robots that allow surgeons greater access to areas under operation using more precise and less invasive methods. Robots are also being used to perform complex surgeries such as eye surgery or surgeries where delicate organs are involved. Human controlled computers direct the robots to perform surgery accurately and safely. As you know hands may shake when performing surgery, and hence robots are extremely useful in performing delicate tasks. To many the idea of robots performing open-heart surgery sounds like science fiction but recently this idea has become a reality. 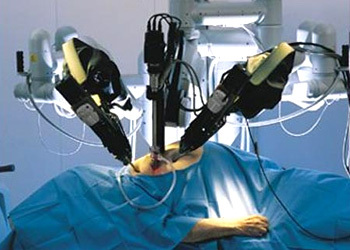 With the invention of the da Vinci Surgical System (named after the famous renaissance inventor/engineer/painter Leonardo da Vinci), introduced in 1999 by the California company Intuitive Surgical, surgeons can operate on patients while sitting at a computer council from across the room where they control a robot much like playing a video game. Robots used in space Robotic missions can travel further and faster, and can return more scientific data than missions that include humans. 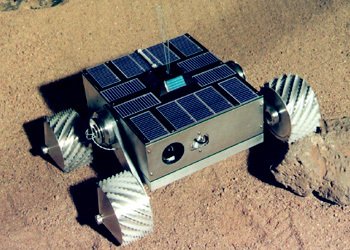 Robots are used in space to explore the planets and find extraterrestrial life and other objects. They have been used in Moon and are also going to be used in Mars to find important information for further research. The current voyages by NASA Spirit and Opportunity are being used to understand water flow in mars.